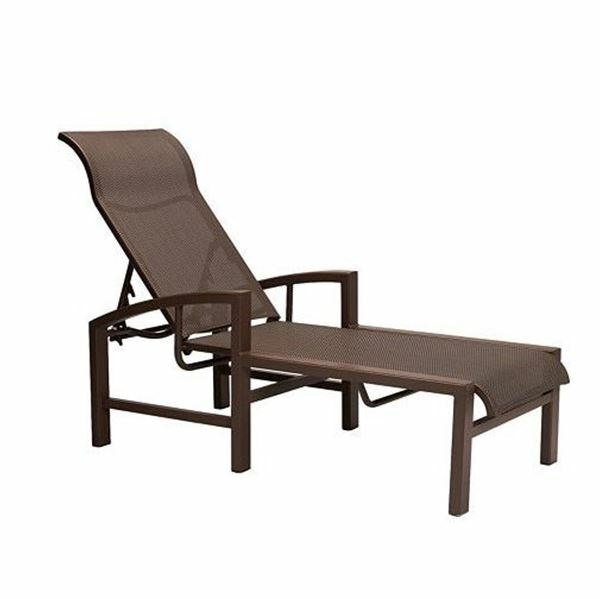 Tropitone Lakeside Sling Chaise Lounge with Aluminum Frame, 28 lbs. Our Tropitone Lakeside sling chaise lounge welcomes guest to relax with a modern design.The comfortable sling is taut for support and to resist tearing or ripping. 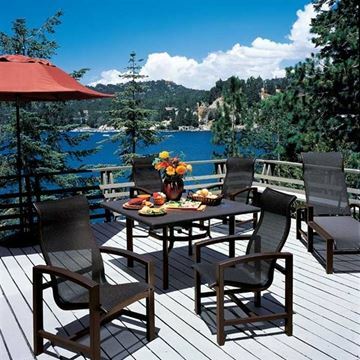 Perfect for demanding commercial setting, such as hotels, resorts, and HOA communities. The causal, bold frame is made of aluminum that has been powder coated for protection. 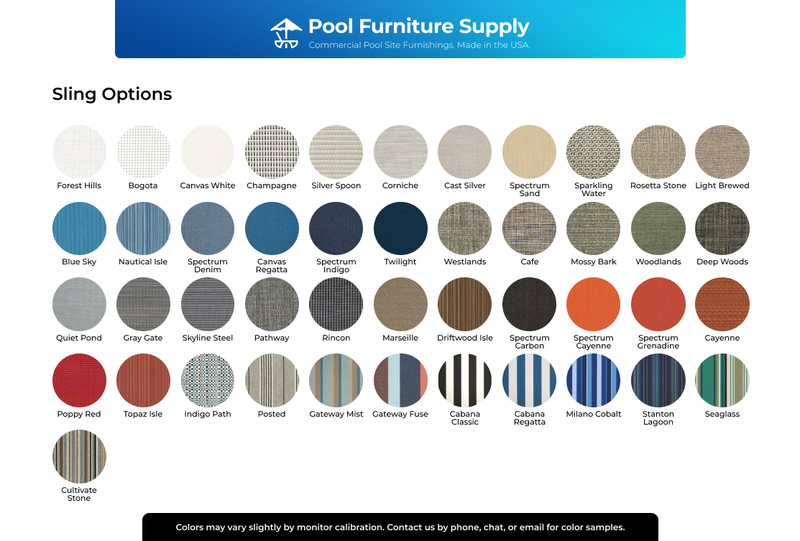 Pool Furniture Supply is the leading Tropitone dealer to world-class resorts all over the country. 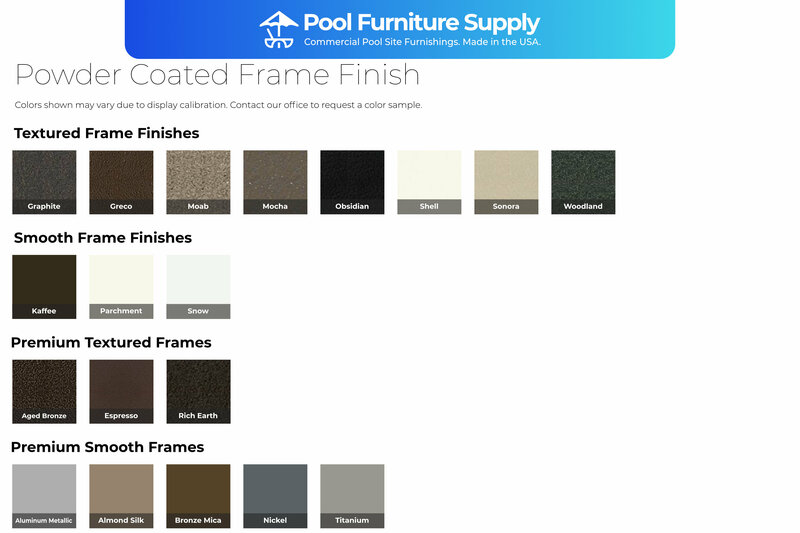 Call us today for a quantity discount on all your pool furnishing needs.